Left early in the morning to get out on the flats as the tide fell. 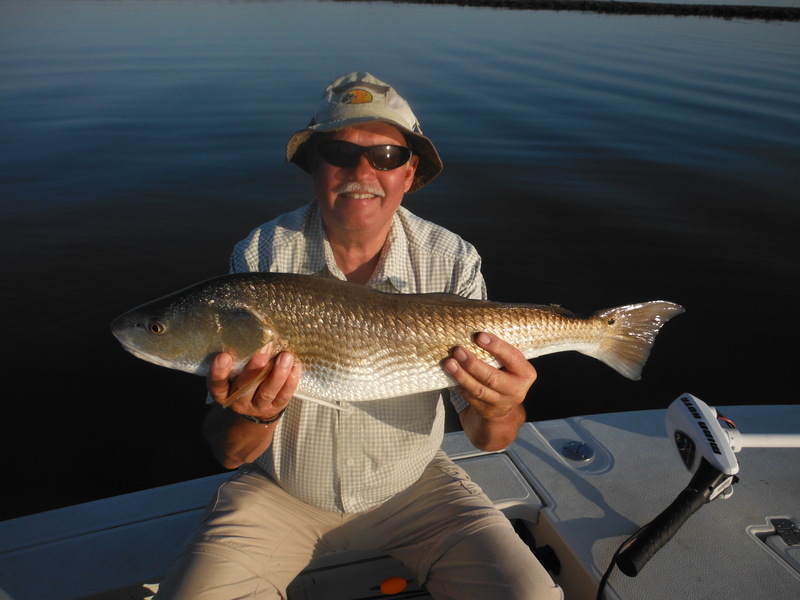 Found lots of bait with plenty of redfish sloshing among it. Posted up and put out chunks of cut mullet and watched them get picked up twice, only to be dropped. Watched a rod snap over and the third fish stayed buttoned. 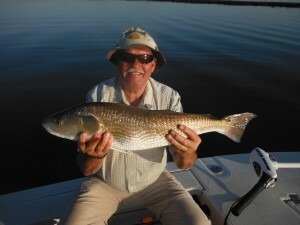 A few minutes later, Charles brought a nice nine pound redfish alongside the boat. The biggest fish he had ever caught! As the water rose, we switched over to popping corks and mud minnows and had a blast messing with bluefish and small trout.